North Korea has been hit with new US sanctions over its alleged weapons proliferation activities. 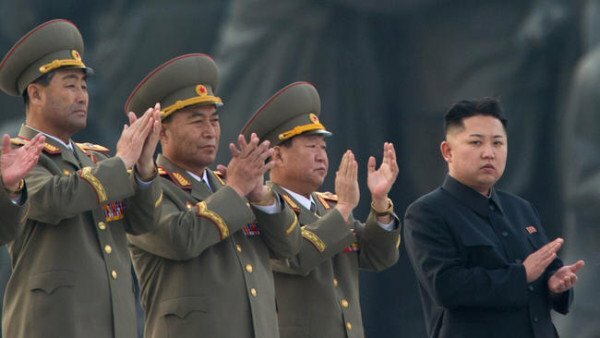 The US sanctions target the North Korean army’s Strategic Rocket Force, as well as two banks and three shipping companies allegedly involved in arms trade. The sanctions bar American citizens or companies from engaging in any transactions with the companies. North Korea already faces sanctions from several other countries and the UN. The Strategic Rocket Force is accused of performing several missile tests last year, while the shipping companies – linked to other already-sanctioned firms – are accused of transporting illicit arms. The US Treasury also blacklisted officials of previously sanctioned North Korean Banks. The sanctions freeze any US assets the blacklisted companies and individuals have. It is not clear how much, if any, they have in the United States. Five of the individuals added to the blacklist – two in Syria and two in Vietnam – are representatives of the Tanchon Commercial Bank, which is already on the US sanctions list. It performs financial activities for the Korea Mining and Development Trading Corporation, which is responsible for North Korea arms exports. North Korea’s Foreign Trade Bank also had one representative, based in Russia, added to the sanctions list. The company itself was also already covered by US sanctions.